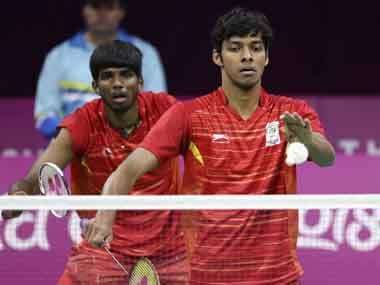 New Delhi: The Indian men's doubles pair of Satwiksairaj Rankireddy and Chirag Shetty has pulled out of the India Open to provide themselves more time to achieve full fitness and hit top form ahead of the Tokyo Olympic qualification. The duo had also sent their entries for events in Malaysia and Singapore next month but after consulting the physio, they decided to miss the three events. The 2020 Olympic qualification period starts 29 April with the Badminton World Federation using its rankings list which is scheduled to be published on 30 April, 2020 to allocate spots. "There is Sudirman Cup and Australia Open next, so in a month's time we will play three tournaments, so we will be focusing on that now," he added. "But I'm just happy that I can achieve fitness and start playing before the Olympic qualification kicks in late April," he added. "The sessions are pretty tough. In a month's time we will get used to it. 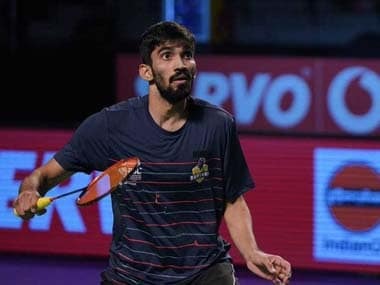 The Indonesian training is lot different," Chirag said, adding, "the focus is to achieve agility, he wants us to be more fit and move faster on court, so lots of on-court sessions and less time in gym. There is also multi-feed training two times a week." They also reached semi-finals at Indonesia Masters Super 500 and French Open and quarters at China Super 750 and earned a career-best ranking of world no 16 in December.